Besides customizing our family silhouette pillow from Le Papier Studio, mummy customized another keepsake - a tote bag, using just my silhouette. 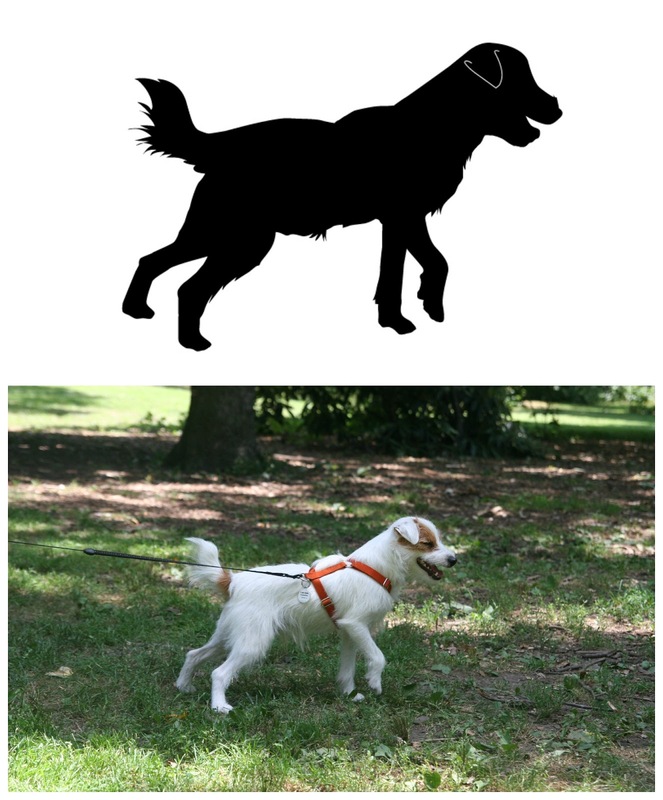 The artist was really professional and sent a couple of drafts for vetting before sending the final silhouette to be printed. Hee, that's my trademark tail! Though there were a couple of hiccups with the shipment of the order (apparently, the first shipment got lost! 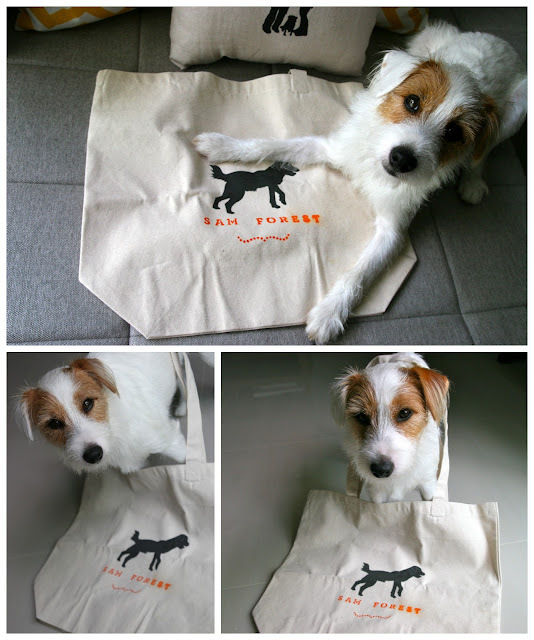 ), mummy was really thrilled when she finally received the tote bag. The silhouette looked great and the material of the tote bag was better than she expected. It was really thick and sturdy, great for putting Sam's many little doggy things (e.g. wipes, food). The only problem was... the design was a little boring. 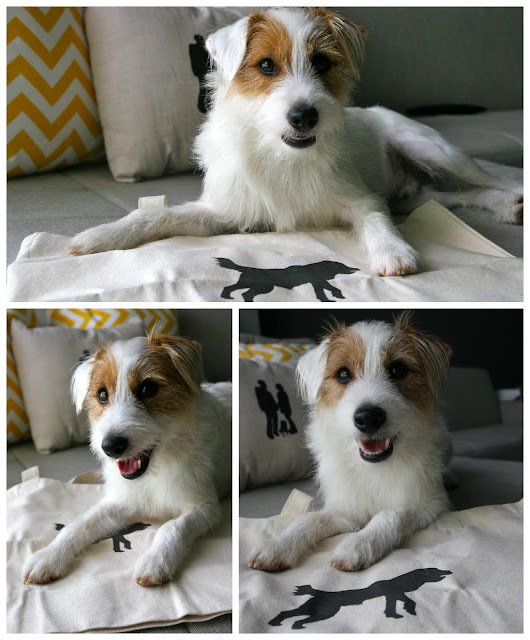 Under the magic hands and paws of the crafting duo, we present you with an even more customized tote bag! Overall, I was quite happy with the final product. See how the "E-S-T" of my middle name looked a little smudged? It was because my stupid 'brilliant' mummy misspelt my name on her first attempt. As she had to reuse the letter "S" stencil, she, very carelessly, misspelt my name as "F-O-R-S-E-T". Thankfully, she spotted the mistake almost immediately and quickly washed off the misspelt letters. Unfortunately, the paint dried a little and there were still faint paint remaining. Hence, she could only try her best to cover the error by carefully painting over the mistake. As a result, the end of my middle name looked like this. Sigh, that's just so typical of mummy..